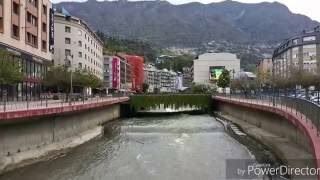 This compact, terraced site is named after the river in the town of Andorra-la-Vella. It has a steep curving entrance directly off the N145, which can become congested at peak times. You pass the pleasant restaurant and heated indoor pool as you enter the site. Maximum use has been made of the space here and it is worth looking at the picture in reception of the site as it was in 1969. The 150 medium sized pitches are mostly level on terraces with some shading. All pitches have access to electricity (3-10A), although some may need long leads, and there are drinking water points around the site. Pitching your unit can be an interesting experience if the site is busy and assistance from a staff member may be required. Some pitches at the south end of the site have a free ‘bird’s eye’ view of any event in the sports stadium. As this is a town site there is some ambient noise. Many people find Camping Valira ideal for a short stay while shopping in the town, where duty free good are available. 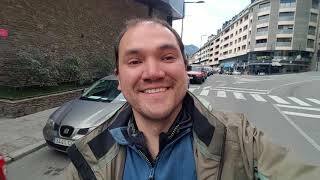 It is, of course, possible to explore the rest of the small principality of Andorra from the site, and information is available from reception or from the tourist office in town. The facilities (heated in winter) are modern and clean, with provision for disabled campers. Room with toddlers’ toilet and good baby room. Three washing machines and a dryer. Well stocked small shop. Bar/restaurant with good menu at realistic prices. Small heated indoor pool. Jacuzzi. Play area. Pétanque. Picnic area. Free WiFi over site. Barbecue. Barrier closed 23.00-07.00. 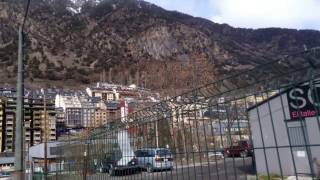 Site is on the south side of Andorra-la-Vella, on left travelling south behind sports stadium. It is well signed off the N145. Watch signs carefully – an error with a diversion round town will cost you dear at rush hour.